What is the theme of your baptism year?? FARGO — About 4,000 Jehovah's Witnesses will be in Fargo this weekend for a massive three-day regional convention at Scheels Arena. The "Be Courageous!" 2018 convention here beginning Friday, June 29, through Sunday, July 1, is one of many around the country and globe, including Hungary, Japan and Australia. Convention spokesperson Stephen Mostad, of Blackduck, Minn., said the convention for the Dakotas and Minnesota has been held at Fargo's Scheels Arena since 2012 with the exception of 2015, when it was held in Milwaukee. Mostad said Fargo is a central location for the 55 congregations in the tri-state area that flock here. Each summer, he said a little more than 500 conventions are held throughout the U.S., where Jehovah's Witnesses make up less than 1 percent of the population. Worldwide, there are nearly 8.5 million Jehovah's Witnesses, though they are banned in some countries like Russia. The Pew Research Center came out with a study in 2016 following the death of Minnesota's superstar musician Prince, who became part of the Christian religion as an adult. Other famous members of this denomination include Michael and Janet Jackson, athletes Venus and Serena Williams and Larry Graham of Sly and The Family Stone. President Dwight D. Eisenhower was raised a Jehovah's Witness, but left the religion as an adult, as did musicians Patti Smith and Donald Glover. Jehovah's Witnesses are most known for door-knocking and prophesying with pamphlets. They don't serve in the military or celebrate birthdays and holidays. Mostad said these guidelines are from their interpretations of the first-century model of the Bible that regulate personal decisions. Conventions are a "spiritual highlight" for all ages, Mostad said. "Its encouragement. We enjoy being together," he said. "We find in the world we live in experiencing challenges and tragedy, it's nice to find a little oasis where you can be spiritually refreshed." The free, public event will consist of presentations on family life and prophecies with a feature film on Sunday. Programming starts each day around 9:20 a.m. and lasts until 5 p.m. On Sunday, programming ends at 4 p.m.
More information about the convention is available at www.jw.org.org. Thousands of Jehovah’s Witnesses will be in Barrie for their annual summer convention this weekend. Dozens of volunteers were busy on Thursday preparing the Barrie Molson Centre for this weekendÂ’s three-day gathering. From those building the stage and assembling video screens to crews cleaning the arena top to bottom to make it spick and span, it was a hive of activity. The convention will draw people from several towns in the area, from Collingwood to Shelburne, Barrie to Aurora and north up to Bracebridge. A similar gathering was held in Barrie in 2016 and had 3,700 people in attendance. However, Steve Brown, who is handling media for the event, which runs from Friday to Sunday at the BMC, said he expects around 3,500 people this weekend because fewer congregations have been invited. Â“The city is relatively easy to get around (and) we feel welcome by our hosts at the BMC, hotels and restaurants,Â” he said. Brown said the waterfront is also Â“perfectÂ” for attending families to stretch and play after a day at the BMC. Â“Barrie is an ideal location for a variety of reasons,Â” Brown said. Â“Of course, its central location makes it very convenient for the majority of delegates from this area. Brown said the convention is a great way to connect. Â“Our conventions are three wonderful days in a spiritual paradise,Â” he said. Â“Family groups, young people, couples and our dear older ones all eagerly attend. Â“We are always delighted by the quality of the teaching and how interesting the program is,Â” Brown said. This yearÂ’s theme is Â‘Be CourageousÂ’ and all presentations will focus on courage. Â“We all need courage in our daily routines,Â” Brown said. Â“At school and in the workplace, people may be exposed to bullying, harassment, ridicule and other unwelcome pressures. Â“Living by Bible standards, as we strive to do, requires extra courage because it sometimes puts us out of step with whatÂ’s going on around us,Â” he said. World conditions can also cause fear and concern, Brown added. Â“This convention program will provide much in the way of reminders, suggestions and encouragement to forge ahead, doing what is right , even when it is difficult to do so,Â” he said. About 3,500 Jehovah's Witnesses will meet in Billings Friday through Sunday at Rimrock Auto Arena at MetraPark for their annual regional convention. Members come from the eastern half of Montana, western North and South Dakota and northern Wyoming, said media spokesman Joe Kurkowski. The public is also invited to attend any of the sessions, he said. "There are no collections taken and it's a completely free event," Kurkowski said. The morning session begins at 9:20 a.m. each day. The afternoon sessions start at 1:25 p.m. on Friday and at 1:35 p.m. on Saturday and Sunday. Similar conventions are held throughout the United States and around the world between May and September, Kurkowski said. The theme this year at all the conventions is "Be Courageous." JEHOVAH’S Witnesses will today convene a Chichewa language three-day regional convention in the country for the first time in over 20 years. Spokesperson for the organisers Maurice Mapimbiri yesterday said the theme Don’t Give Up!, Musafooke! in Chichewa will draw congregants from around the country at the Harare Assembly Hall starting at 9:20am today through Sunday. He said this was an historic event after many years, and the convention will demonstrate how Jesus’ example can give parents and children the tools to build stronger and more united families in the face of adversity. “Many today are disappointed, but the Bible tells us, ‘Don’t Give up/Musafooke!.’ This year’s convention of Jehovah’s Witnesses will show how we can enjoy a happy life now and a bright outlook for the future. Attendance is free, and no collection will be taken ,” Mapimbiri said. The programme will include stimulating talks, interviews, multimedia, feature films and the public discourse examining biblical examples of Jehovah’s people of old, designed to help congregants to keep doing what is fine and to endure trials. Mapimbiri also said today’s programme was designed to help Christians cultivate the qualities necessary to endure difficulties in this time of the end. “Tomorrow the programme will answer the question – How does Almighty God supply us with endurance and comfort? In addition, Jesus said: ‘The one who has endured to the end will be saved.’ What can one do to heed His words? For these and more we invite people to come and attend this three-day convention free of charge,” he said. On Sunday morning congregants will also benefit from the encouraging discourse Never Give Up Hope! Other conventions have already been held in various languages across the country such as English, Shona, Ndebele, Zimbabwe Sign Language, Chinese, French and ChiTonga, among others. Members of the Jehovah's Witnesses held a community service day Saturday in and around Santander Arena in Reading in preparation for the denomination's series of three-day annual conventions, which start Friday. Volunteers worked to spruce up the arena in advance of the first convention. Hi, I'm searching for a notebook for the RC Don't give up for my iPad. Do you have any ideas? At happy moments, Jim and Leslie Donigan often find themselves dancing to “Quiet Nights of Quiet Stars,” the Andy Williams hit that has been their song since they first met at a pizza joint in Mission, Kansas, decades ago. One of those dance-worthy occasions took place late last year, at the end of a long medical journey. The memory remains strong, even though they have hit a recent bump in the road. As Jehovah’s Witnesses, they plan to attend the Midwest convention that runs today through Sunday at Silverstein Eye Centers Arena in Independence, Missouri. Organizers believe few attendees embody this year’s theme, “Don’t Give Up,” more than the Donigans, who are both 71 years old and live in Kansas City. About 5,000 people are expected to attend, said Craig Cochran, the convention’s media services coordinator. The ability to be part of a global experience of faith is important to the Donigans, as they once again face medical uncertainty. “It’s like a spiritual family reunion,” Jim said. A website for the religion says there are more than 8.3 million Jehovah’s Witnesses in 240 countries. According to the Pew Research Center, fewer than 1 percent of American adults are Jehovah’s Witnesses. Jehovah’s Witnesses believe in God, who is called Jehovah. As Christians, they believe in heaven and salvation, but they do not believe in hell or eternal suffering. Witnesses, as followers are called, believe the Bible to be the inspired word of God. However, they recognize some parts are symbolic and do not believe all parts of the Bible are to be understood literally. On Oct. 1, 2004, Leslie fainted. That was abnormal for her, a runner who lives a healthy lifestyle. Doctors could not pinpoint a cause, and later that month they understood why: They found a gastrointestinal stromal tumor, a rare cancer that leaves no blood marker. The tumor was growing on a section of the small intestine and was also threatening her pancreas. The belief about blood transfusions was an obvious complication when it came to surgery. So, the Donigans worked through a Jehovah’s Witnesses group in Brooklyn to find Dr. Marvin Romsdahl, a surgeon at MD Anderson Cancer Center in Houston, who performed a modified version of a common surgery to remove pancreatic tumors. The modified version did not require a transfusion. The surgery lasted 13.5 hours, but it was successful. Yet further treatment included a prescription for the chemotherapy pill Gleevec. The cost of the therapy, which Leslie said at the time cost $2,500 per month, brought them to the breaking point, even after using Social Security and Medicare. More bad news hit in 2008, when Jim lost his banking job during the recession. They had to sell the house they had built nearly four decades before, the same house where they had raised their three children. But in one sliver of good news, a neighbor approached them during their garage sale and told them he would buy another house for sale on the block and then rent it to them. 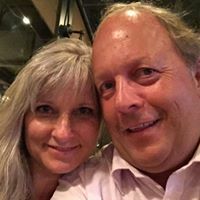 Things began to look up, as Jim found another job, Leslie qualified for a hardship program that allowed her to take Gleevec for free, and then got off the medication altogether when her cancer went into remission. The cancer returned, however, and Leslie must remain on Gleevec for the rest of her life. Now, Gleevec costs $13,000 per month, she said. In April 2016, the family was tested again, when Jim started having shortness of breath. Their first thought was a heart problem, but the first diagnosis was multiple myeloma, a form of incurable blood cancer. A second opinion was different, but not any better: a form of Non-Hodgkin’s lymphoma, which causes tumors to grow in the lymphatic system. A PET scan revealed 100 tumors, and Jim started his own costly round of chemotherapy. His lymphatic system failed during treatment, causing fluid buildup around his stomach and lungs. Jim suffered malnutrition when draining the fluid removed electrolytes and proteins. By October, doctors gave him two months to live. Leslie got it in writing. The question sparked an idea for one of Jim’s doctors, who inserted a shunt normally used to treat cirrhosis. Within two weeks, the fluid buildup was gone. At the party, Jim sipped his first glass of wine in a year, and the couple danced once again to their favorite song. The luster remained up until this week, when an infection flared up around the shunt, and the fear of cancer returned. This most recent medical challenge has shown Jim and Leslie how important their faith is in preparing them for the troubles that can lie ahead. The convention, and especially its theme, is coming at just the right time to help guide them through this newest trial, Leslie said. ABILENE, Texas (KTAB/KRBC) - Four conventions will be held in Lubbock, Texas for the Jehovah's Witnesses this summer. 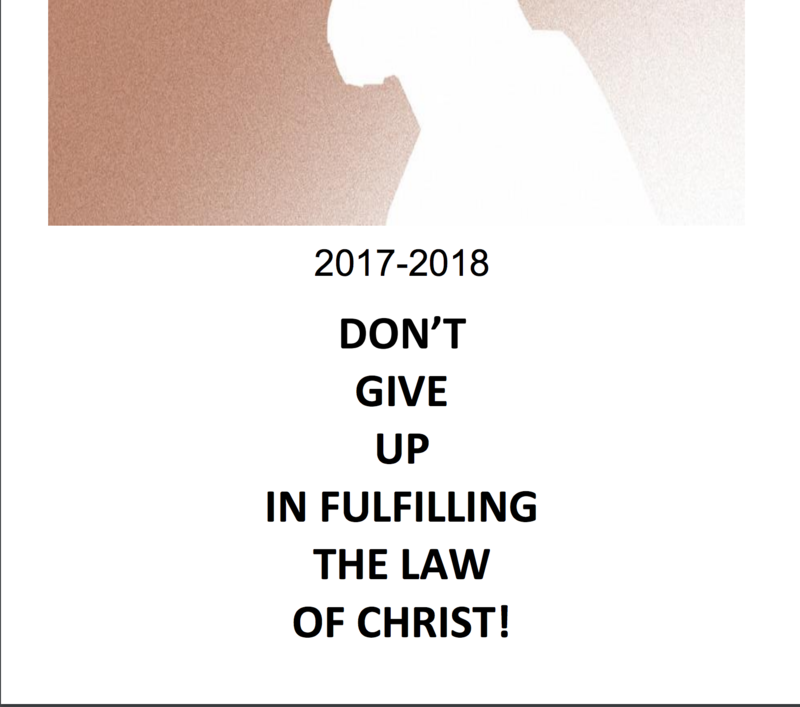 Jehovah's Witnesses from Eastern New Mexico and West Texas will be gathering at the Memorial Civic Center in Lubbock, Texas over the summer for four conventions exploring the theme "Don't Give Up". The group is also extending the invitation to all, regardless of religious affiliation or belief. "The theme will be discussed through scriptural presentations, dramatizations of real-life events and recreations of biblical accounts" said event spokesman Robert Sprecher, an elder at the Kingdom Hall of Jehovah's Witnesses in Portales, New Mexico. The four three-day conventions will be divided into two Spanish and two English events. The first of the three-day Spanish conventions will begin Friday, June 16. The second will begin on Friday, July 7. The first English convention will begin Friday, August 4, and the second will begin on Friday, August 25. All events will begin at 9:20 a.m. There is no admission fee for the events and no collections taken. The Jehovah's Witnesses are supported by voluntary donations. This year the group expects around 10,700 members and interested persons to attend this years conventions. Last year there were over 430 conventions in 110 cities and 32 languages. Recently, Jehovah's Witnesses were in the news after being labeled an "extremist organization" by Russia. Worldwide there are more than 8,300,000 Witnesses in over 119,000 congregations. If your weekend plans includes heading downtown, you might want to prepare for a few extra thousand people in the area.The Tucson Convention Center will be packed for the next several weekends because of the Convention of Jehovah's Witnesses annual gatherings.The weekend-long events happen between May and September, with about 245 different conventions in the United States, a spokesmen said. Seven of those regional conventions are held in Tucson at the TCC from June through August.Roughly 6,000 people attended Friday's symposium, along with various talks throughout the morning and afternoon.Jonathan Osego, a convention spokesman, said organizers and visitors are taking advantage of what Tucson has to offer. "I live in Tucson so the benefit is it's local for us," he said. "And I know that locally we're going to be staying in motels and eating out during the three days, so I'm sure it helps the economy too. "It's quite the amount. Tucson News Now learned that last year, about $2.3 million was contributed to the local economy each weekend. By the end of the summer, totaling up the amount from all seven conventions scheduled at the TCC, the financial impact for Tucson is nearly $16 million.Osego said they have a solid relationship with the convention center. "We're really grateful to the management because they make the facilities available, and then Tucson is a great town too. Some of the folks that are here they are coming from all over Arizona, and will be doing so during the seven weeks," he explained.The conventions are open to the public, you won't be charged admission, and no collection will be taken, according to Osego. Some updates made to digital publications may not yet appear in the printed editions.